After my last Clinical Leader article, "How Amazon Could Improve Patient Experience", a friend of mine recommended the book The Everything Store: Jeff Bezos and the Age of Amazon, by Brad Stone.1 Stories of Bezos’ obsession with customers and fearless risk-taking were inspiring. Based on its approach to building its business, it is logical to conclude that Amazon would be an amazing CRO. Amazon’s competitive strategy is to aggressively discount prices to win market share. Plus, its customer obsession and disruptive innovation are second to none. Let’s imagine what an Amazon-run CRO would look like. Amazon would give deep discounts. What if Amazon’s CRO operating margins were only 1.7 percent —- a 90 percent discount from Parexel’s? If Amazon acquired a CRO, expect prices to drop the following Monday. Amazon significantly slashed grocery prices to attract and engage customers. The early Amazon Kindles were sold below cost, and Amazon Web Services (AWS) was first offered at a loss.7 Many Prime deals are still sold at a loss when shipping costs are factored in the cost of sales. Amazon would prioritize streaming data. AWS would accelerate clinical data automation. AWS revolutionized package tracking, and it’s likely that many of its capabilities are transferable. All clinical data would be visualized, analyzed, and recommendations served up in real time. The entire data stream would be transparent and trackable for centralized monitoring and risk-based monitoring (RBM). Clinical operations software, such as the Comprehend Clinical Intelligence Suite or Algorics Acuity, would be standard across all platforms, programs, and processes. Key performance indicators (KPIs) and key risk indicators (KRIs) would be automated, and breaches of quality, compliance, and performance would be set to alert the clinical team. Say goodbye to spreadsheets, source document verification (SDV), and manual tracking. You could view clinical data streamed to your phones, tablets, and desktops. For medical monitors, all patient data would be streamed and analyzed from a patient-centric perspective. This software to support this enables data to be visualized, analyzed, and reported by patient, by study, or by indication. Outliers are highlighted, graphed, and analyzed in clinical context to study visits and time of dosing, and are benchmarked with similar patients by site, geography, and study. This innovation has been on the market, but adoption has been slow. CROs don’t want disruption to their profitable processes, but Amazon thrives on disruption. Amazon has access to loyal Prime members. 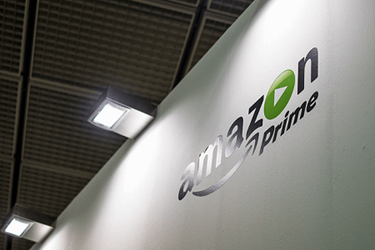 Amazon already has 80 million loyal Prime members’ profiles. If only 40 million of them are incentivized to participate in providing basic health histories, Amazon could have enough candidates to quickly enroll the majority of sponsor trials. For a $100 Amazon gift card, I’d sign up to be in a clinical trial! I have already purchased a digital blood pressure monitor, a finger pulse oximeter, and an activity-tracking wearable with my Amazon Prime subscription. As soon as Alexa Connect is ready, I’m accessible for a remote study visit. Amazon would disrupt CRO competitors. This week, I downloaded The Innovator’s Dilemma: When New Technologies Cause Great Firms to Fail on my Amazon Kindle.11 Jeff Bezos was so excited about this book that he charged his executives to plan Amazon’s own disruptive innovation. There are four relevant points to take from the book. First, Amazon’s CRO prices would appear to be too cheap to be true. However, many early adopters could afford to outsource more trials to Amazon than before. Second, Amazon’s automation would drive down costs, increase productivity, and reset customer expectations for higher levels of automation and transparency. Third, most CROs would not be able to respond quickly enough and would disappear. CRO outsourcing would become even more ubiquitous. Finally, fewer site monitors would be required because of automation. Amazon’s CRO disruption could spawn new and exciting roles for tech-savvy clinical data professionals. Stone, B. (2013) The Everything Store: Jeff Bezos and the Age of Amazon. New York, NY: Little, Brown and Company. Parexel 2016 Annual Report. Retrieved from http://www.annualreports.com/HostedData/AnnualReports/PDF/NASDAQ_PRXL_2016.pdf. Pandolph, S. et. al. (April 27, 2017) Amazon Prime Subscribers hit 80 Million. Retrieved from http://www.businessinsider.com/amazon-prime-subscribers-hit-80-million-2017-4. Christensen, C. (1997) The Innovator’s Dilemma. Boston, Massachusetts: Harvard Business Review Press.